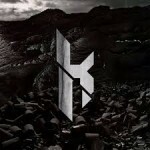 Share the post "Album review: KLOGR – Make Your Stand"
When is an EP not an EP? In the case of this one it’s the addition of a 10 track live album that pushes it into album territory and makes this release a good value for money release. Oh, and there is also a live DVD included as well for those who felt the 10 live tracks weren’t enough of a bonus! So plenty to get your teeth into here and things get off to a good start with the EP part of the release. Here you are treated to three newly recorded tracks, ‘Breaking Down’, the title track ‘Make Your Stand’ and ‘Breathing Heart’. All tracks are good quality alt-rock with a big nod in the direction of Creed and Alterbridge, in fact Mark Tremonti is cited as one of the band’s main influences. Big riffs, strong melodies and the odd reflective guitar part all lend the songs a quality air. Best of the bunch is ‘Breathing Heart’ which is a slower, brooding number with plenty of atmosphere. For me these tracks show a good progression from their last album, ‘Black Snow’. ‘Black Snow’ is well represented in the live album section of the release as it features all four singles released from the disc. The live numbers were recorded in Trezzo in Italy as was the accompanying DVD. Listening to the live tracks after the newly recorded numbers you can hear a bit of a direction change in the band’s music as their first two albums had more of a prog metal edge. The live tracks show that the band can also cut it on stage as well as in the studio, sometimes the two don’t always go together. Click the appropriate icons at the top of the page. Tweets by Get Ready to ROCK! This entry was posted in ALBUM REVIEWS, ALBUM REVIEWS (Mobile), All Posts, Single and EP reviews and tagged album, Alterbridge, Creed, EP, Klogr, live, Make Your Stand, Mark Tremonti, review, Trezzo, Zeta Factory. Bookmark the permalink. If you can't find what you're looking for - or wish to refine your search to include only references to the key search term - try putting inverted commas around the search term e.g. "Steve Lukather" or "Black Star Riders"
For example if you enter Black Star Riders the results will include all instances of "Black" "Star" and "Riders"